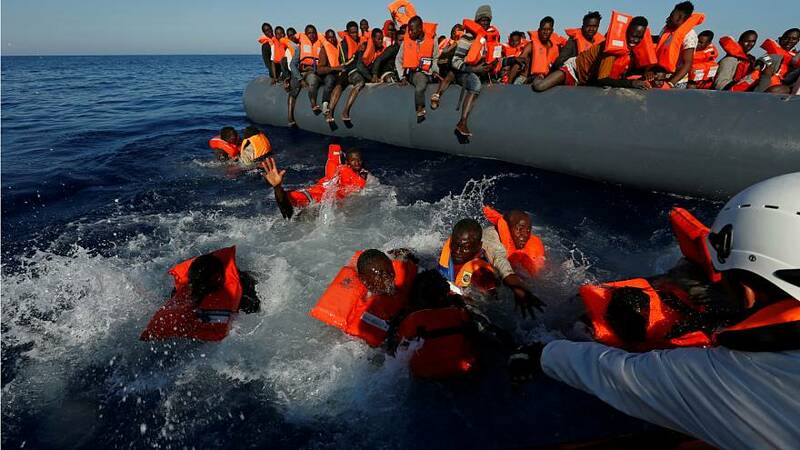 The Mediterranean is "by far world's deadliest border"
The report by the United Nations' migration agency states that at least 33,761 migrants have died or have gone missing in the Mediterranean between 2000 and 2017. The study investigates irregular migration across the Mediterranean since the 1970s. It highlights that irregular arrivals to European territory and deaths at sea have increased as migration policies become more restrictive. “Stopping migration and eradicating deaths at sea may [be] conflicting objectives. Shutting the shorter and less dangerous routes can open longer and more dangerous routes, thus increasing the likelihood of dying at sea,” Professor Philippe Fargues of the European University Institute states in the report. The study has found that the highest number of fatalities was recorded in 2016, when 5,096 migrants died in the crossing. At the time, the short and relatively less dangerous route from Turkey to Greece was shut following the European Union–Turkey statement. So far in 2017, approximately 161,000 migrants have arrived in Europe by sea, while 3,000 have died or disappeared while trying. Out of those who reached European shores through the Mediterranean this year, 75 percent arrived through Italy with the rest mainly landing in Greece, Cyprus and Spain, according to IOM figures. The decrease in the number of migrant deaths may be partly attributed to the cooperation between the EU and Turkey, and more recently Libya, to curb the flow of migrants. Professor Fargues notes that most figures likely under-report the actual scale of the human tragedy, stressing that data on irregular migration is still very limited.